Our new van about town! Have you seen our brand new van driving around Saffron Walden and the local villages? We are delighted with our stylish black van, it will help us to deliver goods to our local customers quickly, providing a more efficient and adaptable service. 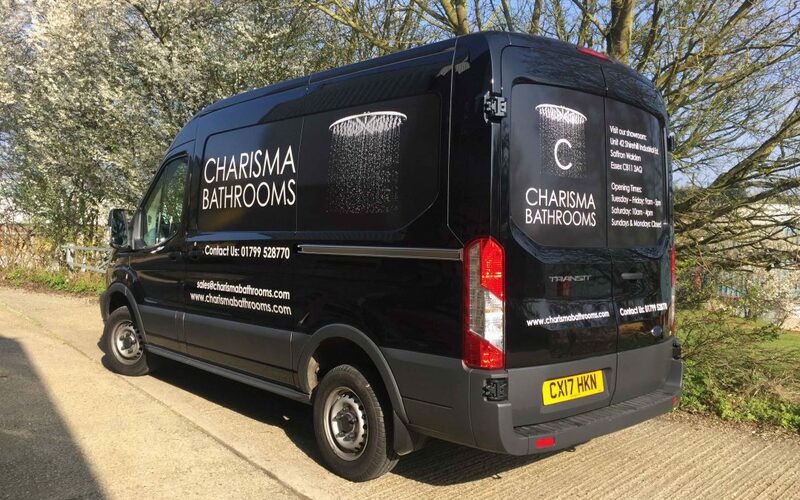 If you haven’t yet been to see our bathroom showroom, you should come and take a look, perhaps even follow our van on its way back to our base! We are located on the Shirehill Industrial Estate in Saffron Walden, opposite Treadfirst. Keep an eye our for our distinctive black and white signage and come in and indulge yourself in some of the luxurious bathroom settings.